The proposed development is for the creation of residential housing at three sites located in the proximity of Guildford, Gloucester and Milton Keynes. 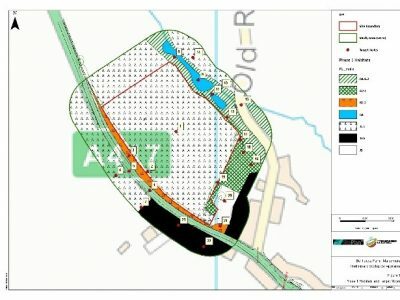 ITPEnergised were commissioned to undertake a Preliminary Ecological Appraisal (PEA) in support of the proposed development at each of the three sites, which comprised predominantly horse pasture and arable fields. Each PEA involved one of our experienced ecologists undertaking a Phase 1 Habitat survey, detailing all habitats within the site and immediate surrounds following standard JNCC methodology. The PEA survey also recorded any evidence or observations of notable or protected species such as bats, otter, great crested newt and invasive non-native plants such as Japanese knotweed and giant hogweed. The results of each PEA were published in a standalone report and included the results of the field survey along with evaluation and identification of the potential ecological impacts of the proposed development. The survey report further outlined all the relevant nature conservation legislation and planning policy along with recommendations for appropriate enhancements or mitigation plus the requirement for any further protected species survey work in order to support a planning application at each site.